One of the good things about being trapped in the house through snows and floods is getting to catch up on various documentaries you have missed. About once every two months I click through all the documentaries that will be shown on Direct TV and tape the ones I am interested in. They usually sit for several months until I finally get around to them. The first doc I watched was Carmen & Geoffrey. Directed by Linda Atkinson and Nick Doob, the 2009 release follows this dynamic partnership. Geoffery Holder was a theater and dance fixture beginning in the early 1950's. His stunning art work has often been compared to that of Paul Gauguin. In 1955, Carmen de Lavallade appeared with Holder in "House of Flowers" and they married shortly after and spent 59 years working and creating until Holder's death in 2014. The documentary is a bit heavy on the Holder side, and the dance sequences featuring de Lavallade could have been much longer. 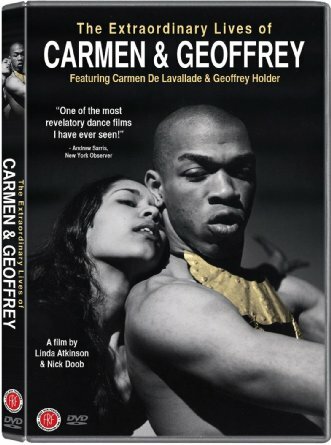 Still, a wonderful look at two giants of dance. 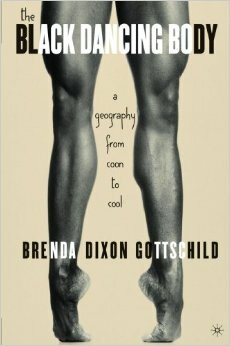 After watching it, I pulled Brenda Dixon Gottschild's The Black Dancing Body off the shelf. The book looks at race, racism, body image, body language, and stereotypes in dance and how they echo and comment on racism in society as a whole. 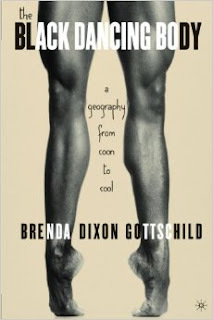 When I got to A Ballerina's Tale, the story of Misty Copeland, I was glad to see that one of the interviews was with Gottschild, whose book was published long before Copeland's rise. The contrast of time is very interesting. Copeland is like a rock star, mobbed every time she walks out the stage door. She is, for many young girls, the corporeal realization of what can be. Even as a dancer, Copeland speaks eloquently about seeing black dancers on film and weeping as they were dancers she never knew existed. 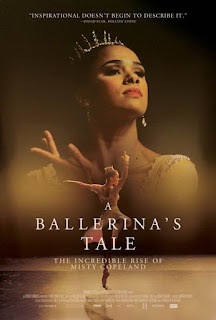 One hopes that with the Netfixification of culture, films like A Ballerina's Tale as well as Carmen & Geoffery will have a much wider audience and all little girls and boys can envision themselves dancing... or what ever they want to do. I've been seeing A Ballerina's Tale come up on Netflix for awhile now, but always get pulled into one of the Chinese/Korean films...Empresses in the Palace - gorgeous! But thanks for the heads up, I love ballet. PS: It's a series and I've begun to realize that the Kung Fu, although it can be a little off-putting to some, is actually ballet of another type.